To hear Hunter McCulloch talk you could swear he was describing a diabolical Pete Dye layout, Amen Corner or the church pews at Oakmont. “The elevation changes are very critical and this course will punish you if you miss your line,” McCulloch said. McCulloch and fellow Durham resident James Everette are into a different kind of golf these days, having taken up disc golf a few years ago. The two made the two-hour trip to the North Carolina foothills to tackle The Rock at Stonewall Disc Course in which holes are measured in feet (nearly 13,000) and not yards. The object is to get the disc in a metal basket in as few throws as possible. “We’re heard a lot about this course in the disc golf community – it’s a pretty famous course,” McCulloch said. 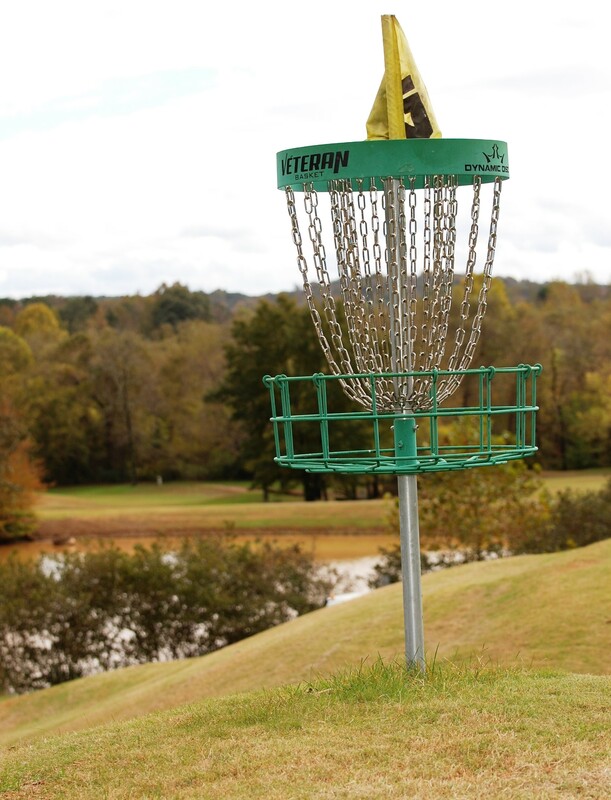 While most disc golf courses are at parks and confined to less than 20 acres, the disc golf course at Stonewall in rural Stokes County is unusual since it is spread out over the 5,222-yard golf course layout as “ball golfers” and “disc golfers” co-exist on the same turf. Each corresponding golf hole has a disc basket associated with it off to the side of each green. Stonewall Golf Course owner Rick Regan opened the disc golf layout in the fall of 2016. Regan says the ball golfers have accepted the disc golfers on the course just fine. “It flows smoothly along with every single hole that the ball golf course has,” he said. “Our course is so very hilly so both use carts. I never realized that disc golf was as popular as it was but I started looking around and just about every municipal park in the state and many other states have disc golf courses. Horizons Park Disc Golf Course in nearby northern Forsyth County was opened in 1981 and is home to the oldest permanent disc golf course in the state. Both Horizons and Stonewall were designed by Tom Monroe. “The reason we tried the disc golf here is because of all of the elevation changes and people are just astonished at how far they can throw a disc when you are throwing it from 150 to 250 feet above the landing area on some of these fairways,” Regan said. Stonewall now hosts a disc golf pro-am every year and drone footage of the course can be called up on YouTube. The course record on the par-70 Rock at Stonewall Disc Course is a 56 by High Point native David Wiggins Jr., who has thrown a disc more than 1,100 ft in his career to set the world record. “David came out here and he shot a 56 without ever seeing the course,” Regan said. “The guy has a cannon for an arm and he’s not a very big guy. It’s a lot like golf; there is a lot of technique involved. When you see some of these people come out with their bags of discs they have 40-50 discs in the bag and every single disc has a different motion. They have putters, drivers, fairway discs, ones that go high, ones that go low, ones that go to the right, and ones that go to the left. It is amazing. The cost to play disc golf at Stonewall is $16 on weekdays and $21 on weekend. 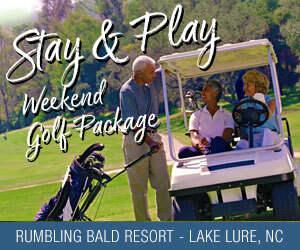 That includes the hole-in-one participation pot of $1,000 on No. 13.